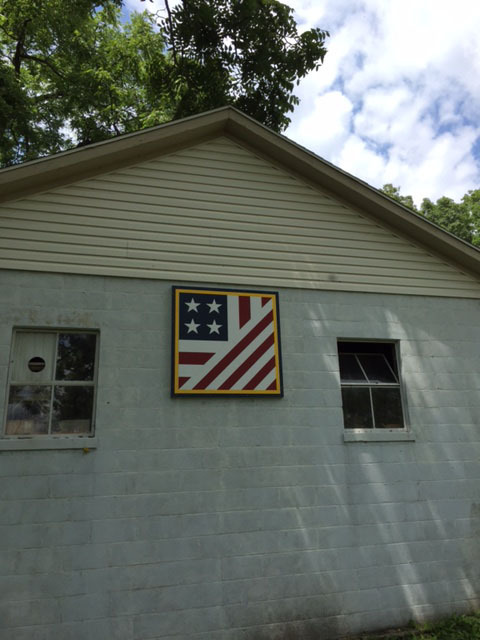 Our Barn Quilt represents our devotion to our family core of four as well as our country. We are a committed family who believe in Life, Liberty and the Pursuit of Happiness. After spending almost 10 years dedicated to the United States Military, it was important to share this pride with our family as well as our friends and community.